Let's take a trip down memory lane, shall we? The year was 2012, the Galaxy S III and the HTC One X were still new, and some jerk on the internet suggested that maybe it's cool if people started appreciating their amazing phones instead of complaining about how their device wasn't revolutionary. In the time since then, certain segments of the tech community have opted to go in the other direction. Rather than accept that smartphones are incredible and that the wow-factor comes from using them instead of hyped up tech events, some people believe that the next revolution is just right around the corner. Which, you know, is true. Technically. That's the thing about technology: it keeps getting better and continues to wow us. But then...they started giving it names. Concept sketch of Motorola X Phone based on confirmed information. Chief offender on this front is the X Phone. For the uninitiated, the X Phone is the name given to a mythical device that Motorola is probably working on, but that could be called literally anything by the time it comes out. Motorola could announce a new RAZR that was secretly code named the X Phone and you'd never know it. Why? Because we have confirmed exactly jack about this device. Oh, we hear rumors, sure. We heard it will be creepy and made of wood. We heard it will launch in June with Key Lime Pie, then in July with a touch-sensitive back panel, and then again in August with always-on voice recognition. That's a lot of releases! Not to mention features. Oh, and my favorite one of all is the definitive proof that the X Phone will be completely customizable because Guy Kawasaki asked a question on Google+. Could these be true? Sure. Well, except for the release dates in three separate, consecutive months. That's just contradictory. And ignoring this big pile of evidence that Key Lime Pie is not coming out at Google I/O. Except those, sure there's no reason that the phone couldn't have optional touch-sensitive wood paneling in your choice of color. Why the hell not? They will have an unnamed "just right" size. They will run a version of Android that is pretty close to stock. They will be advertised as a cross carrier brand. They're not coming until the second half of 2013. That's it. Note a couple things here: one, none of this information is really solid. It's, at best, a guide. The size will be "just right," but we don't know what size it will be. It will be "unadulterated" Android, but what does that mean? It will be a cross carrier brand, but who will get it? Secondly, these facts describe multiple devices. Not just one. In other words, if there is an X Phone, then it's a flagship leading a fleet, not a single device like we see with the Nexus line. It's also probably not coming in August. Very rarely do companies announce a product for the "second half" of a year and deliver three months later. If it can be narrowed down that much, they usually refer to a "quarter." That's not to say it's impossible, but it's very unlikely. To put it another way, much like with the "multiple Nexus devices" we were promised last year, the "X Phone" will probably not be what you expect by the time it arrives. To put it another another way, most things you read about the alleged X Phone right now are completely made up. Let's learn from the past on this one. Google is absolutely working on a version 5.0 of its Android operating system. This is more or less undeniable. That's how time works. It goes forward. However, as of right now, there is less than no information about what Android 5.0 will eventually bring. How do you get to less than no information? Simple. By making crap up. Even if we had any real information, it would drown in the flood of fanboy fantasies. 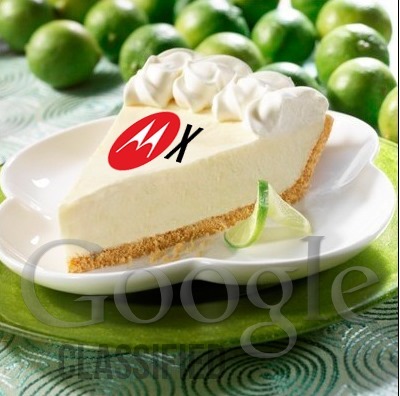 Here's the general speculation regarding Key Lime Pie: it will be the next major revision of Android, it will be a huge sweeping change in the same way that Ice Cream Sandwich was, and it will crap unicorns which then crap rainbows and those buttbows will point to a magical land of leprechauns and orgasms where beautiful women will give you buckets of gold and everyone will get timely OS updates. Or something. There's just one problem with this theory: there has only been one major point-oh revision of Android that has been largely praised. That was Ice Cream Sandwich. You know what the others were? The first was Éclair (2.0), which brought Navigation with it (though not as a platform exclusive), and little else worth paying attention to. The second was Honeycomb which was godawful. It was rushed, unfinished, buggy, and I still sometimes punch my Xoom in the neck when I get too angry thinking about it. 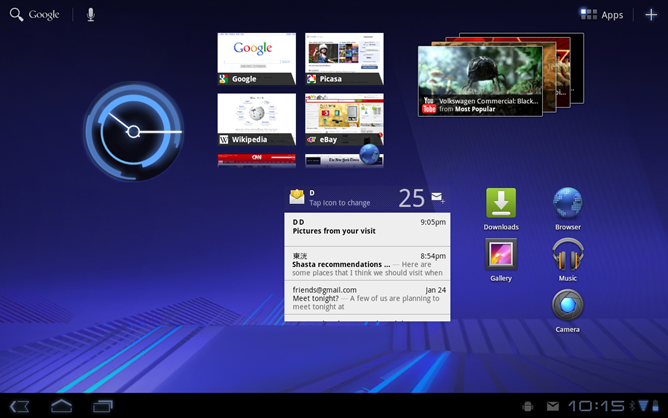 Sometimes when we get an Android overhaul, we get ICS. Other times, we get this. The idea that Key Lime Pie—if that even is what Android 5.0 will be called, which is nowhere near confirmed—will be a huge leap forward for Android is one that is based entirely on wishful thinking. Five is a bigger number than four, right? And it has a point-zero next to it. It must be better! Don't get me wrong. I think Android is in a much better place now than it was when the last major revisions came about. Honeycomb was the worst of all, but our lord and savior Matias Duarte only had a few months to turn that ship around. An act he referred to as a "crash landing." However, before we assume that the next sweeping overhaul will be a huge, fantastic explosion of beauty and functionality, perhaps it's best if we asked...do we even want that? Or would we rather have some improvements to the rest of the ecosystem? Ron put together a great overview of the things that Google's working on (and let's be real, if anyone knows, it's him). Most of the promising features that are being developed are (probably) version agnostic. Google Games, unified messaging, Play News, more Google Maps features, Google Now, Quickoffice. Mountain View could make a ton of improvements to the Android ecosystem without ever touching Android. Not that they will, of course. There will definitely be some improvements to Android. But the most sweeping changes right now are happening on the Play Store and in the peripheral content. In short, imagining a mythical version of Android that changes everything in some unnamed way is futile because we already see a very detailed, very real blueprint of changes that are coming and they're awesome. Which leads us to our final point. Yesterday, Google released Google Now on iOS and pissed a select group of people off. I say select group of people because, by and large, most folks were happy. The groups of people who enjoyed the news included iOS users, Google fans who don't get bent out of shape when someone else plays with their toys, and people who like technology. Hide thine eyes from the shameless sins of Google! I love talking about the future of Android. I love imagining what's coming next and I even love predicting things and being wrong. It's fun. It's a learning experience. Tech inspires us to do this very thing. When it turns dark, however, is when we suddenly start acting like Google owes us something. As though the audacity of sharing a product with more users justifies outrageous and flippant demands. This attitude is the pinnacle of tech elitism and entitlement. Motorola is working on some cool new phones. Android 5.0 will probably come at some point in the future. Platform fragmentation is an inherent issue with Android. People still overwhelmingly choose Android despite Google services on iOS. Google will never, ever, ever dictate its product line based on what you demanded in a whiny comment. Anything beyond this is superfluous and bratty. If you think that Google has to do something, you're probably wrong. If you think that, at this point, Android is going to suddenly crash and burn if you don't get the feature you like, you're definitely wrong. Most of all, though, if you base your indulgent expectations on made-up reports about unreleased products, and then get all Veruca Salt over how Google better deliver on this crap you pulled out of thin air, you are more kinds of wrong than I have words to describe. 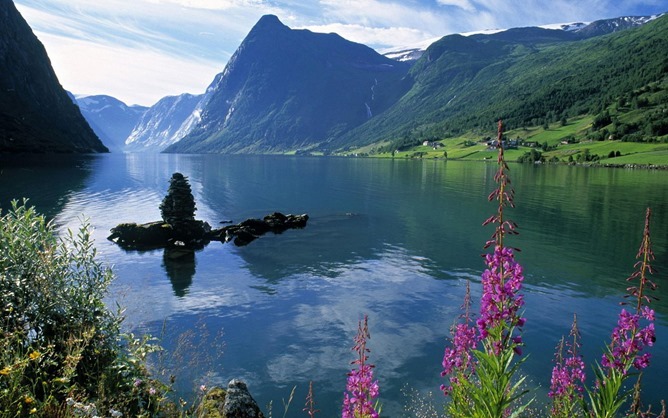 Here is a pretty picture of a lake by some mountains. Think about this instead of how Google betrayed you. Don't worry. Your future is going to be awesome. Even if you're stuck using a crappy phone right now, it's going to get better. Hell, even if you're forever stuck with cheap, crappy phones, the bar is being raised so much that by the time you get a new device, the amount of things that a low-end handset can do will be incredible. This is the price we pay. Android supports hundreds of devices and dozens of form factors. Because of that, it's impossible for everyone to have the same experience, and consequently some people will be left behind. If it's not Google Now, then it will be something else. However, most critical features are not bundled as part of the OS, and the ones that are will come in time. This is part of the reason that Google continues to activate 1.5 million devices per day, despite the slow rollout of new Android versions. Take a moment to appreciate what your phone can do already. Ten years ago, YouTube didn't exist. For those with short memories, at that time, it was difficult to share your own video online at all. Now, you can watch television shows and movies, record your own, set it to music, upload it to an audience of thousands or millions, then kick back with some Reddit, read some comics, pay your bills, IM your friends, and find out what's happening on the other side of the world. Your device can tell you when your package is going to get delivered without asking, it can transcribe what you say without a single keystroke, and pinpoint where you are in the world to recommend restaurants in your neighborhood before you even know you're hungry. All of that from your phone. Half that stuff wasn't even possible on a desktop ten years ago. Slow down and appreciate how good life is before you start demanding that Google stimulate your thrill center again.